Thanks, Pabitra. I see now, but I still don't think it works very well. What is the French example that you refer to? France jigsaw was on a set of collector coins and since I do not collect them, I can not locate any reference. Will put up for information as and when I come across them again. See: Moldova - New circulating coin series 2018. Here is the haphazard image but may be some member from France has the original image issued by the mint.You can see the background image of "RF" . 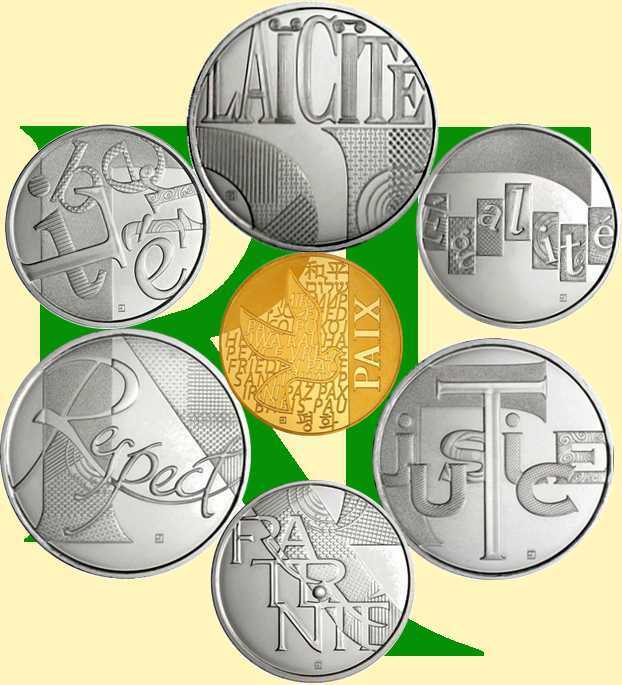 These are 5 and 25 Euro silver collector coins issued in 2013. Pabitra, here is an image that shows the Valeurs de la république "puzzle". Now can I have the bicycle chain jigsaw puzzle image too. Cannot show a photo of my own coins, as I do not have the entire set (these coins were issued for the 100 yr anniversary of the Tour). However, CGB.fr has a photo that ... is not perfect when it comes to showing the chain circle but works. Especially when you only look at the pieces in the box.